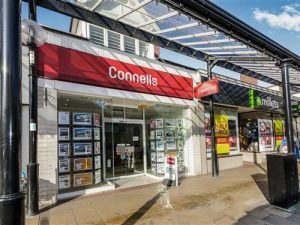 We at Connells estate agents in Eastleigh would love to help you SELL or LET your home. As part of a large estate agency and letting network, we offer a wide range of home moving services to buyers, tenants, sellers and landlords, helping at every step of the moving process from mortgage services and conveyancing to energy performance certificates and property management. We sell properties in Eastleigh, Boyatt Wood, Allbrook, Chandlers Ford, Mansbridge, Bassett Green, Bishopstoke, Fair Oak, Horton Heath, Hedge End, Bishops Waltham, Botley, Boorley Green, Durley, Curdridge, Swanmore, Shedfield and Waltham Chase. We let properties in Boyatt Wood, Allbrook, Chandlers Ford, Mansbridge, Bishopstoke, Fair Oak, Horton Heath, Colden Common, Hedge End. Our experienced sales team is led by Branch Manager Adrian Allen, alongside Abigail Cunane – Residential Sales Manager, Gregg Lewis – Negotiator, Bethany Taylor – Negotiator and Gill Jackson – Administrator. We also have our experienced Mortgage Consultant, Martin Goble. The lettings team is headed up by Branch Manager Natalie Bryant, along side the Lettings team.